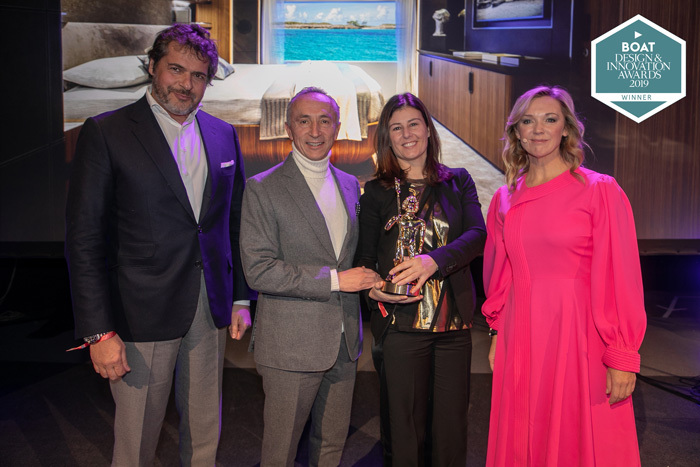 Cortina D’Ampezzo, 28 January, 2019 – Ferretti Group reaches the top even in the snows of Cortina, with 2 dazzling trophies earned by Custom Line 120’ “Vista Blue” and Riva 110’ Dolcevita, two nautical masterpieces Made in Italy. The Group also triumphed at the tenth edition of the Design & Innovation Awards, sponsored by Boat International Media, prestigious publishing group in the international yachting world. The panel selected the winners in each category by assessing design, style and on-board comfort, taking into account technological and design innovation. Custom Line 120’ “Vista Blue” won in the Best New Production Yacht Design category. This new planing yacht conveys the values of seaworthiness, comfort, safety and customisation – all part of Custom Line’s DNA since the beginning – in a revolutionary product in terms of its style, design and spaces. Jointly produced by the Product Strategy Committee under the engineer Piero Ferrari and the Ferretti Group’s Engineering Department, it is the first Custom Line vessel conceived by Francesco Paszkowski Design. Riva 110’ Dolcevita won the award in the Best Exterior Styling Motor Yacht category. The result of cooperation between Officina Italiana Design, the studio founded by designer Mauro Micheli together with Sergio Beretta, and the Ferretti Group’s Product Strategy Committee and Engineering Department, the 110’ Dolcevita was received with enthusiasm by the panel for its exterior design, with its ultra-sporting profile, and the yacht’s aerodynamic qualities, further boosted by the lateral structures in glass. Consistently with the brand’s heritage, sophisticated design choices and innovative technological features make this flybridge an exceptionally beautiful yacht. “Winning two top prizes such as these with two different yachts is not just a sign of excellent health for Ferretti Group – the numbers already show this – but also confirms that our vision of beautiful yachting matches the taste of the greatest experts in the industry. Pursuing real innovation, as we do, also means committing to projects for months, sometimes years, whose value and degree of appeal you will only find out after their official debut. The level of success, not exclusively commercial, achieved by Riva 110’ Dolcevita and Custom Line 120’ tells us that investing in talent, innovation and research is the only way to ensure we remain firmly positioned at the top of the yachting industry.” – said Mr. Alberto Galassi, CEO of Ferretti Group. 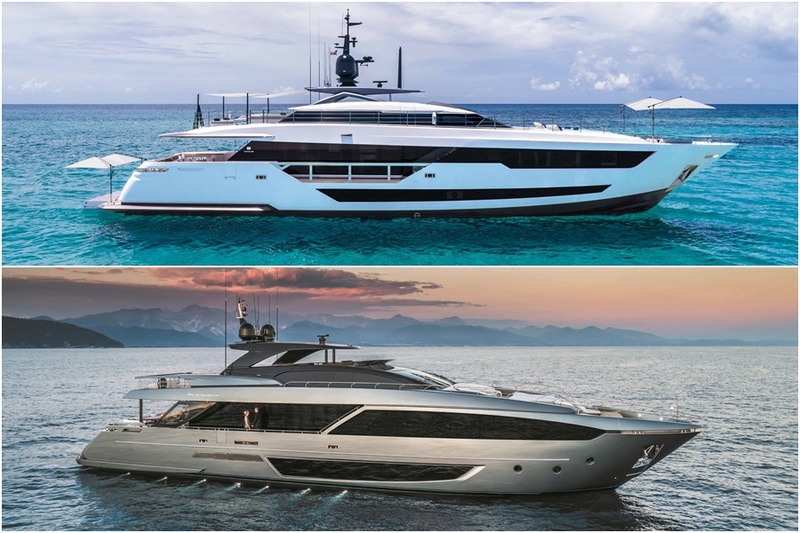 With these awards, Ferretti Group reaffirms its top position in terms of beauty, style and innovation, making it the leading brand in Italian yachting excellence.